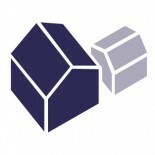 To learn more about this company, check out ADU Builder Profile: AK Builders. For a more in-depth look, read Ray Chirgwin’s ADU: Carlton Street ADU. The Project: Client was looking to build a 2-story, open floor plan with loft bedroom & bathroom to be used for long-term rental income. The Challenges: We weren’t part of the design phase so we missed a few opportunities to make the build easier and less expensive. The Solutions: Client was very easy to work with, was deeply involved in the build process and well prepared when I was hired which kept the project on track. Favorite feature of the unit was exposed beams and custom wood/metal guardrail leading up to loft. Unit was featured on the 2015 SE Portland ADU tour. The Project: Client is an architect who designed his own 2-story unit with garage on first floor and studio apartment on second floor. The Challenges: One of the building challenges was getting proper venting in the roof system with out compromising the engineer requirements and details. The Solutions: The Solution to this was to insulate the roof system with closed cell spray-foam to eliminate the need to have venting. One of my favorite features of the ADU is the exposed 3×6 Collar ties. One of the homeowners favorite features is the reclaimed hardwood floors. The Project : This tree house is located 14’ up in two trees. The main supporting tree is a large old growth fir and the second tree is a beautiful oak. The Challenges: The building challenges where learning how to build in a tree. When we constructed the main support system and platform it seemed like every time we turned around there was a new challenge. The Solutions: If you have the money, rent a snorkel lift! There where quite a few innovative solutions during the build but the best was when we were setting the two main beams we were short staffed and had to use one of the work trucks and a block and tackle to lift the beam into place. The owners favorite thing about the tree house is to sit on the deck that wraps around the oak tree and enjoy the view of the valley and mountains. This entry was posted on August 5, 2016 by linamenard in ADU Professional Profiles, ADU Profiles, Projects and tagged AK Builders, Amy Eichner, Kevin Eichner, tree house.